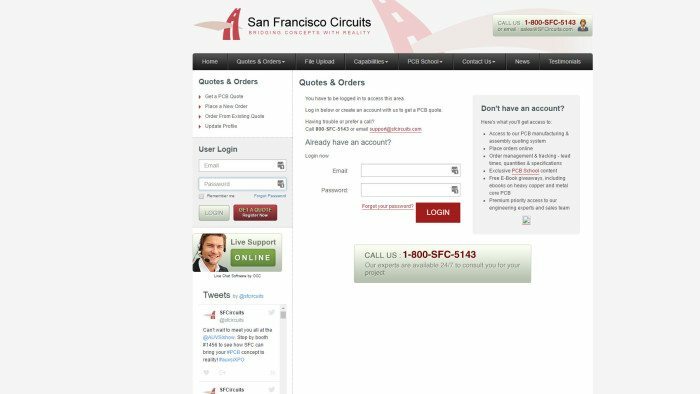 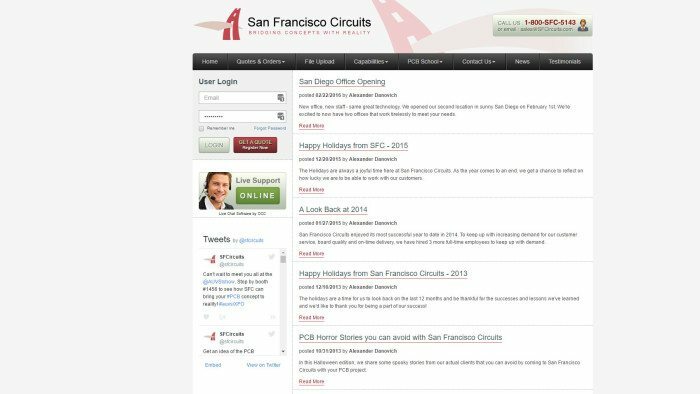 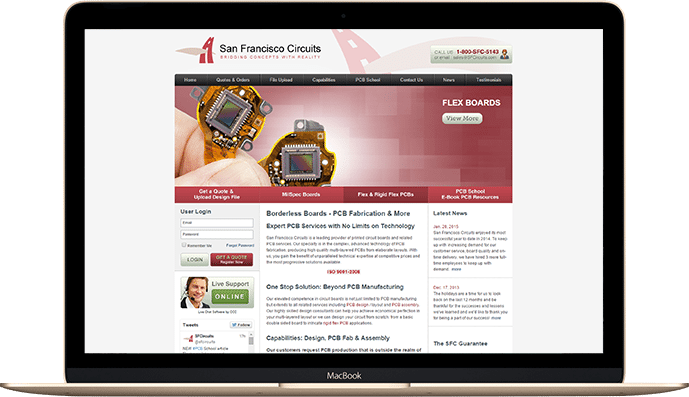 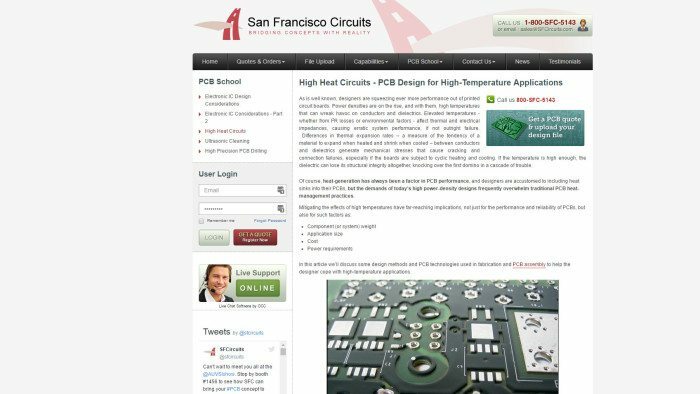 San Francisco Circuits has been a high-end provider of printed circuit boards for many years to high tech industries like aerospace, semiconductor, consumer electronics, automobile, military/defense and more for many years. 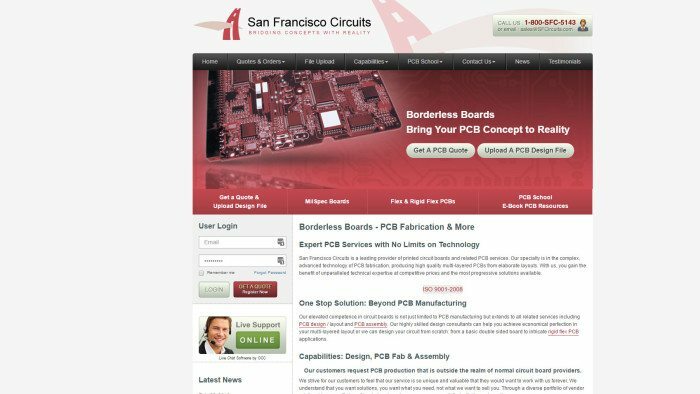 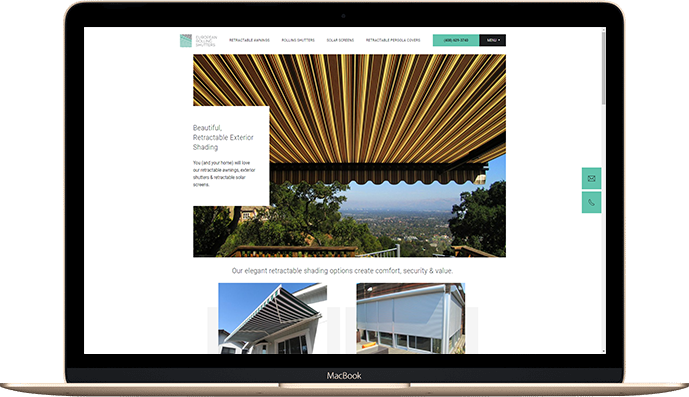 Their unique approach to fabrication, PCB assembly and testing has been reflected in a website that is unique in its own right, standing out with stunning graphics and easy to read capabilities tables that are targeted at an extremely knoweldgeable technical crowd. 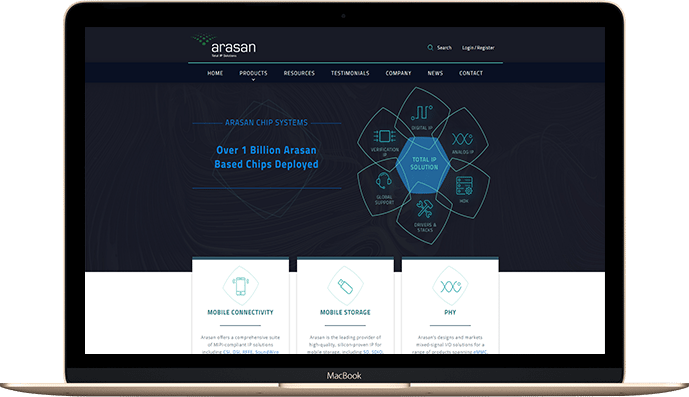 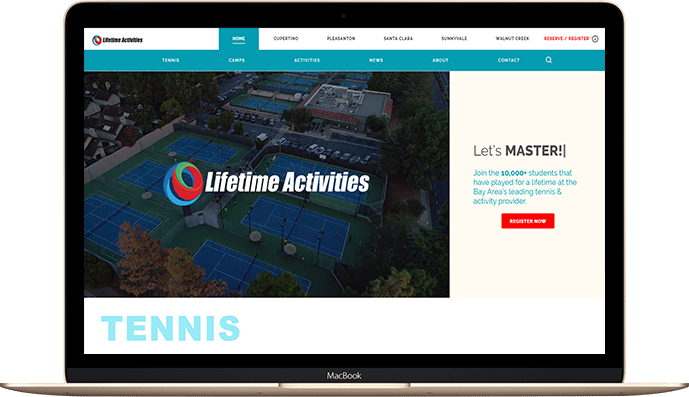 The unique customer section, powered by mPanel, has a full-fledged quoting mechanism with automatic ordering capabilities. 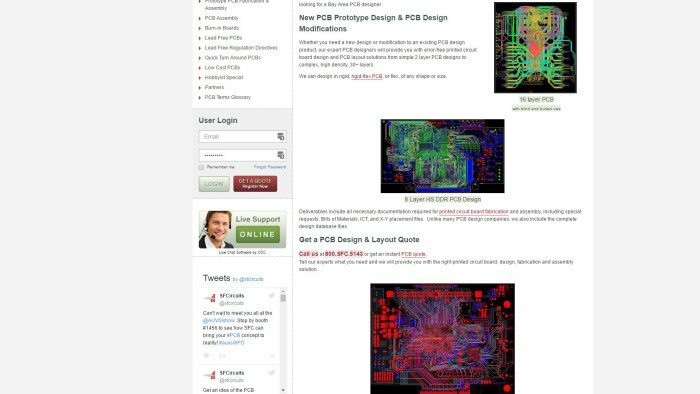 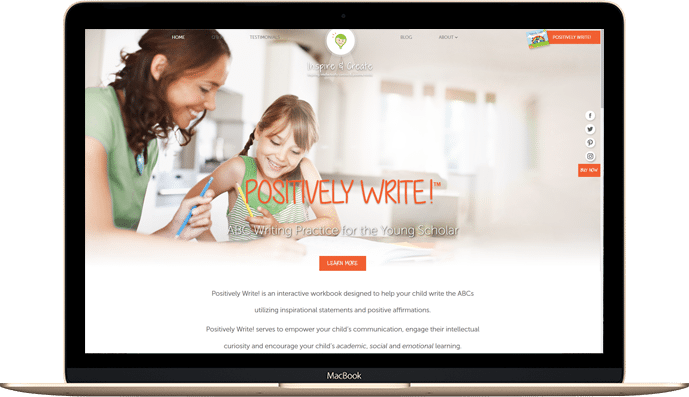 In addition, the registered users area contains a unique PCB School section providing useful technical white papers, e-books and presentations.